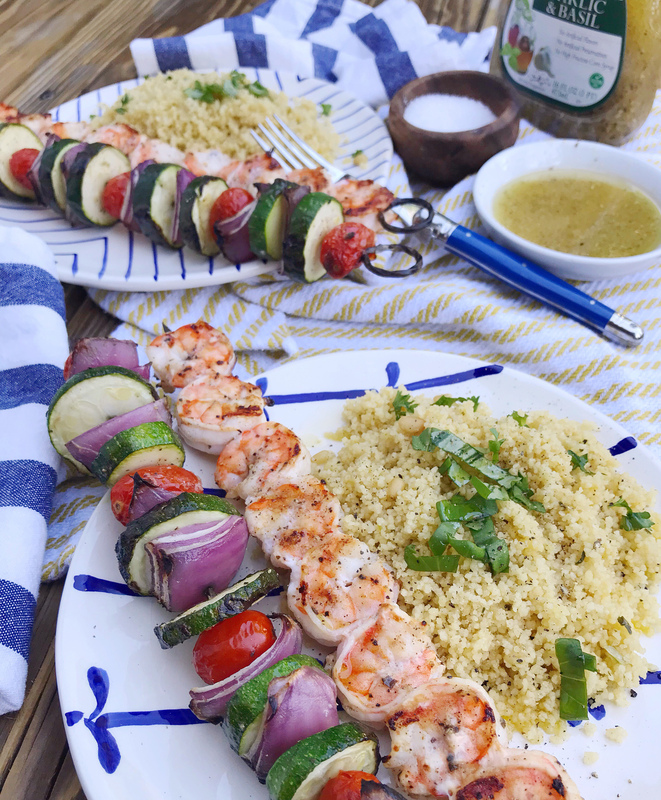 Garlic Basil Grilled Shrimp Skewers. Peel shrimp (thaw if frozen) and place in a bowl. Combine ¾ of a cup of Ken’s Garlic Basil Dressing with minced garlic, and lemon juice, and black pepper. Pour the mixture over the shrimp and let it marinate for 20-60 minutes. Pre-heat the grill to medium-high heat. 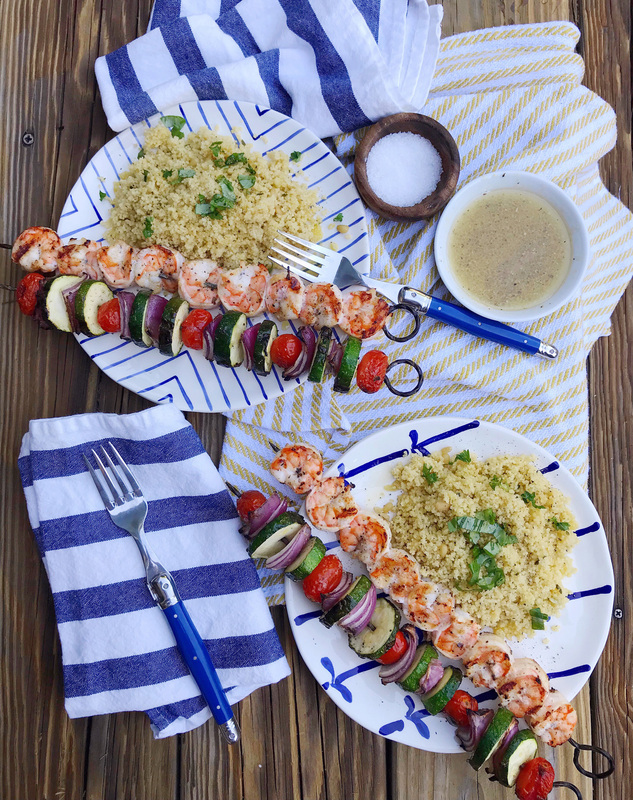 While the grill heats up, prepare the skewers. 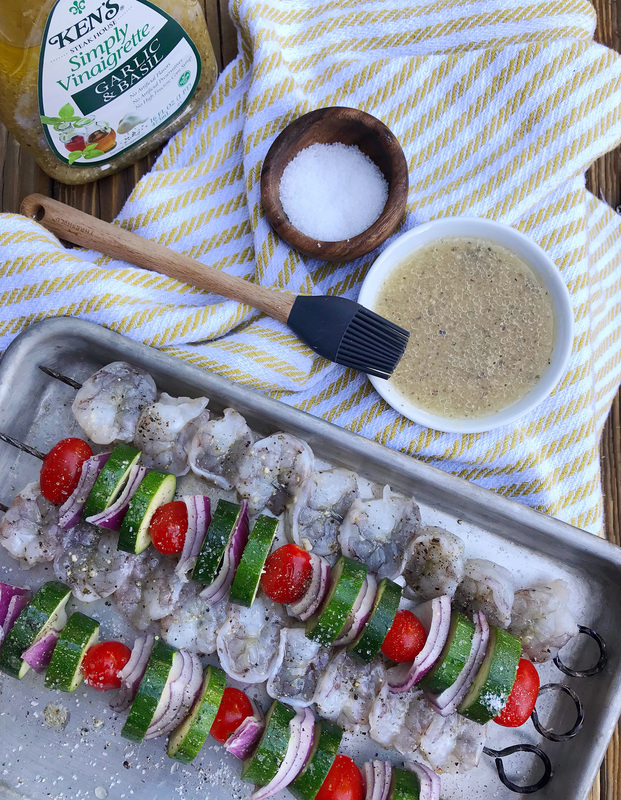 Slice zucchini into ½” pieces, quarter the red onion, and thread the zucchini, red onion slices and tomatoes on two skewers. 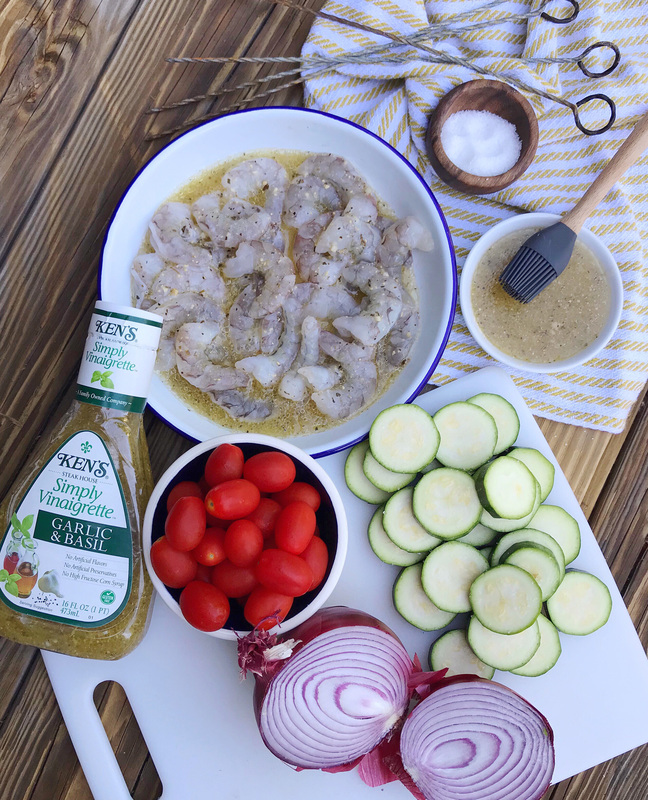 Brush the veggie skewers with the reaming ¼ cup of Ken’s Garlic Basil Dressing and season with salt and pepper. Thread the shrimp on the remaining two skewers. 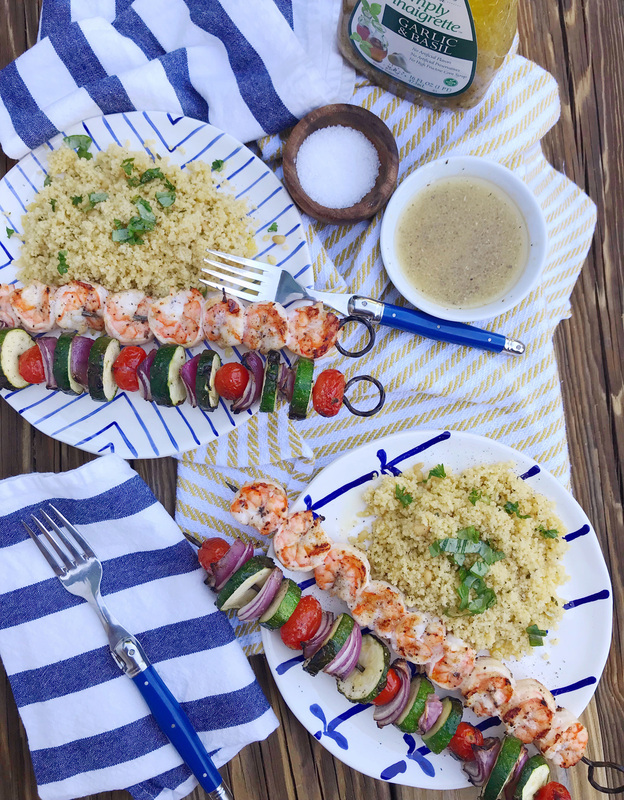 Place the four skewers on the grill and cook until the veggies have crisped and the shrimp is pink and opaque – about 7-9 minutes. Remove from the grill and plate over couscous; top with fresh basil leaves before serving. Please note: This post was created in partnership with Ken’s Foods. All opinions, images, and content are my own. Thank you for supporting brands that support this site. Raspberry Mint Spiked Lemonades. Bachelorette Party Swag Bags. Disclosure: This blog contains contextual affiliate marketing links and I may receive commission on sales of some products linked in posts; the content is never influenced by an affiliate partnership.